There is some great music to be heard this week in Raleigh. 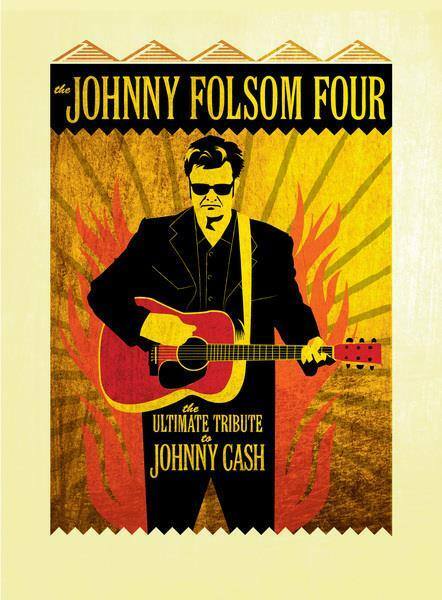 The Johnny Folsom 4 (Johnny Cash Tribute Band) is scheduled to perform this Thursday at the Oak City 7 concert series and I’m pretty stoked about it. If you’ve never been to one of the shows at Oak City 7 here’s what you need to know. 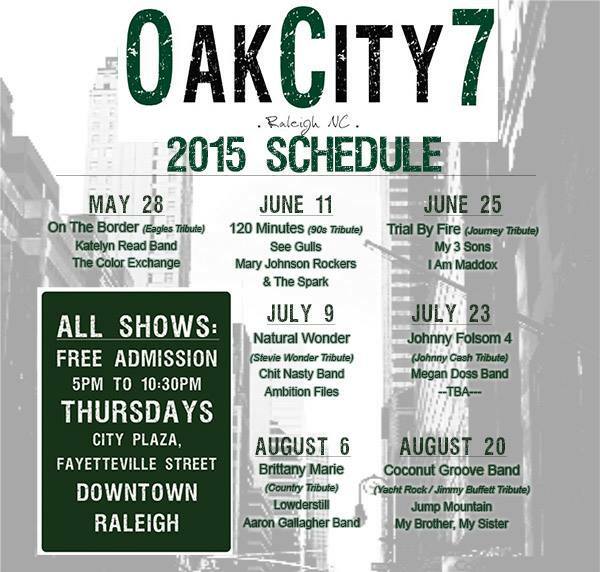 Oak City 7 is a FREE summer concert series located in City Plaza (at the end of Fayetteville Street) in downtown Raleigh. Admission is free to the public and the events take place from 5:00pm to 10:30pm (rain or shine) every other Thursday, from Memorial Day through Labor Day. There are typically 3-4 bands with openers starting around 6pm and the headlining act at 9pm. Local craft beer is available for purchase and there are usually several great local food trucks. The event is pet friendly (dogs must be on a leash). You can bring a chair to relax, but there is also plenty of room for dancing. If you can’t make it this week you have two more chances to catch the Oak City 7 series with shows on August 6th (Country Tribute) and August 20th (Jimmy Buffet Tribute). To learn more about this convert series visit the event website or follow them on facebook and twitter.